Around one in six mothers-to-be are still smoking in Telford & Wrekin – but numbers have reduced over the past year after a new role was created to tackle the problem head-on. 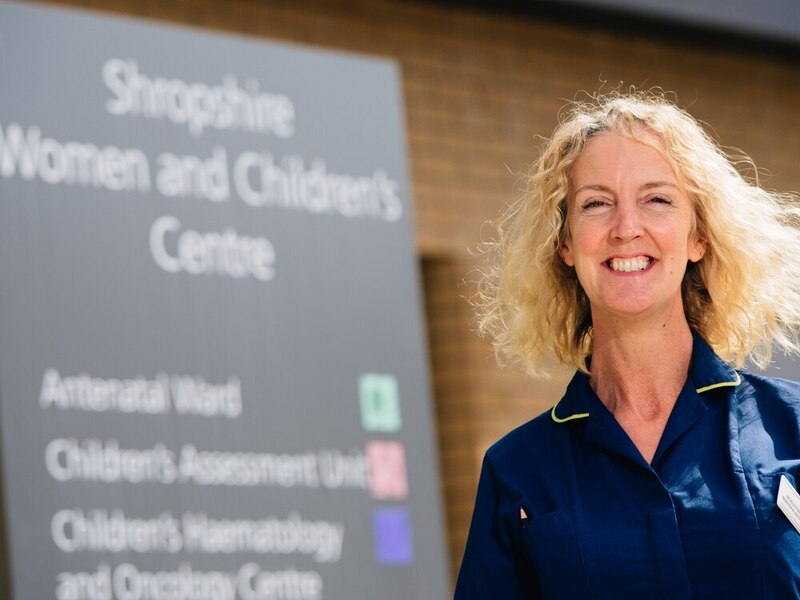 Michelle Powell has been a midwife for 25 years and has worked at the Shrewsbury and Telford Hospital NHS Trust for more than 13 years – but in April last year she stepped into a different kind of role. Telford and Wrekin had a much higher than average number of women who smoked at the time of giving birth in 2016/17. A total of 21 per cent of pregnant women were smoking when their babies were born – compared to the national average of 10.5 per cent. 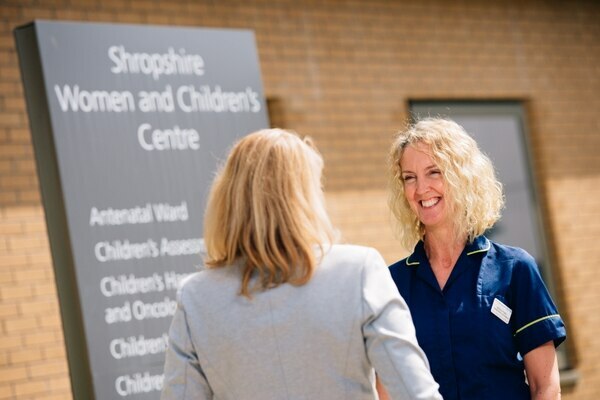 Telford & Wrekin Clinical Commissioning Group and Telford & Wrekin Council decided to jointly commission a public health midwife role to try to tackle the issue. And figures show that since Michelle was appointed to the position, the amount of women still smoking at the time of birth has dropped. It reduced to 17.2 per cent in 2017/18. Data shows that pregnant women aged between 20 and 24 were most likely to smoke at the time they gave birth in 2017/18 and hotspot areas in Telford and Wrekin included Sutton Hill, Woodside and Brookside. In the first year, just under 700 pregnant women were referred to speak to the specialist midwives. Explaining the risks of smoking during pregnancy, Michelle said: "It increases the risk of miscarriage and premature labour. "There is an increased risk of the baby not growing as well as he or she should and the risk of haemorrhage." Michelle reaches out to pregnant smokers, offering them an appointment at their home, Telford's Princess Royal Hospital or anywhere else that suits them. She carries out an assessment of their smoking habits and checks their carbon monoxide levels by getting them to blow into a hand-held machine. When the level of carbon monoxide in a person's blood increases, it stops their red blood cells from carrying as much oxygen as they should. Nicotine also causes blood vessels to constrict and as the blood vessels narrow, a person's blood pressure rises. Michelle, of Hanwood, near Shrewsbury, says a person's carbon monoxide level should be below four, but it once hit 53 in the highest result she has ever seen. The 50-year-old said: "We want them to choose a date to quit, usually within two weeks of seeing us, and commit to not having any cigarettes from then. "We give them nicotine replacement therapies such as patches, gum and oral mouth spray. "We usually see them again that week so they can see how much better the baby is being looked after. "Then we might see them once or twice a week. We are just there to support, we are their cheerleader team. "The challenge is keeping people motivated to stop. "Early in the pregnancy women may not feel great, but at 14 to 16 weeks they start feeling better and that can lead them to thinking about having a cigarette. "That's always a dangerous time. Stress can also make them want a cigarette. "Nicotine is really additive but we have to motivate them to change their behaviour." Mother-of-two Michelle said once a smoker quits, withdrawal symptoms often go away within four weeks but getting there can be hard work. "Lots of women do relapse but we focus on what they can learn from that and encourage them to try again, "Michelle said. "It doesn't help if their partner smokes as well. "I went to see one lady whose partner said he smoked 60 cigarettes a day. I spoke to him about passive smoking and the effects on an unborn baby. "The next week he was smoking outside, instead of in the house, and shortly afterwards he had bought an e-cigarette. So not only did she quit, but he did too. "When you get a success like that it's really nice. "We are trying to catch people earlier now. If you can get someone to stop smoking in the first trimester, the risks are virtually the same as for someone who has never smoked." For more information, or to book an appointment, call Michelle on 07841 807829 or Melissa Davies-Lawrence on 07864 954022, or leave a message on 01952 565732.